I hope that you are in the practice of setting goals in your ministry. Setting goals can be an important tool for strategy, growth, and evaluation, as well as for your own personal and spiritual development. Last week I posted a link to this article from Eric Geiger on the importance of leading with goals and I thought this would be a helpful companion to it for those of you in leadership of student ministries. It has taken me some time to become comfortable in the process of goal setting. I responded to it poorly early on, and out of pride began to define myself by the successes and failures. Since then God has shifted my own thinking personally to really embrace how goals can improve me as a person, my reliance upon Him, and the ministries that He has allowed me to lead. Goal setting has become a vital part of my current leadership, both at work and personally. 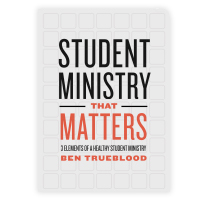 I know this is an important topic for you as well because I’m often asked (by student pastors and the pastors that lead them) about what kinds of goals to set in student ministry and what that looks like on a practical level. So, I’ve put together five of the goals that I think you should consider setting in your ministry as you seek to disciple students and their families. 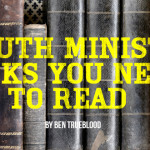 Volunteer Recruitment – As a leader in student ministry volunteer recruitment is a continuous process. There are many aspects of your ministry that hinge on the leadership of volunteers. Because of this, your ability to effectively recruit and train volunteers to join you in ministry to students is one of the most important things you can measure. Tracking a monthly or quarterly volunteer recruitment goal will help you keep your eye on the ball throughout the year rather than falling into the trap that so many do: recruiting a bunch of leaders and throwing them in at the last minute each fall. 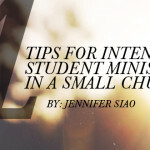 Campus Interaction – Your ministry needs to have a presence on the school campuses in your community. Set goals here for how many visits per week or month that you will make to a campus. Consider setting goals on getting into X number of new school campuses, or partnering with X number of teams or clubs per semester. Small Group Attendance – I would argue that an effective small group ministry is the most fertile ground to disciple your students. 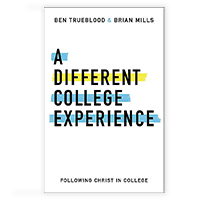 More students in small groups means more students will have the opportunity to connect with a Godly leader and other students around the word of God in an atmosphere that promotes discussion and community. Consider setting quarterly and annual goals and talk about them often with your group leaders. Encourage each small group leader to set their own attendance goal and work with them on the steps they need to take in order to reach it. New Groups Started – This will be a marker of success in the previous goal, but is one that should be tracked separately. The reality is your small groups will grow most effectively when you plan and develop your leaders to start new groups throughout the year. Small groups can get too big, and when they do they lose effectiveness. Having a “new groups” goal will keep in the mind of your group leaders (and students) that this is going to be a common practice in the ministry. Make sure you constantly explain the reaching and discipleship benefits that exist when you start new groups. If you don’t keep this explanation in front of your leaders and students then the natural action is for people to war against the group change. Salvation and Baptism – This is the one that most people struggle with. “How can you put a number on something that God is in charge of?” you might ask. One reason is because a goal will keep you focused on what is most important. This is something that you should want to see more of in your ministry. If it isn’t, then you should seriously consider what God has called you to do. Setting a goal in this area will also keep your prayers and your people focused. It demonstrates vision to your volunteers and your students. 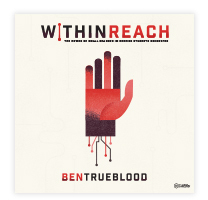 It shows that you are committed to reaching people and it begins to build that within the culture of your student ministry. Most importantly, this goal more than the others, will help to build your dependency upon the Lord. As you consider setting these goals, here are some cautions for you. First, don’t allow the goals or the results to define you as a person. Jesus has been clear about how who you are as His child. If you fail to reach one of the goals it provides a great opportunity for you to evaluate and learn, which is extremely valuable. If you succeed, don’t think more highly of yourself than you ought to. Second, when you talk about goals with your people make sure you connect them to the vision behind the goal. Over-communicate the Kingdom-focused agenda that exists behind each goal that they hear. Remember, these aren’t numbers just for numbers sake, they represent people and the ministry that God has called you to do. I’d love to hear from you. What are some other goals that you’ve set in your student ministry?